An Activision Blizzard booth during an expo in 2013. The company plans next month to begin publishing daily live programming on Facebook. Activision Blizzard Inc., looking to draw more eyeballs and advertising dollars to its competitive-videogame content, plans next month to begin publishing daily live programming on Facebook Inc. The companies announced the collaboration Thursday at the NewFronts digital-media conference in New York, where Activision Blizzard pitched marketers on its business of competitive videogaming, also called e-sports. Activision Blizzard said it is in talks with marketers about sponsoring the programming. As it does with all of its partners, Facebook will provide Activision Blizzard with data on viewership and help it build an audience for the video, some of which will be exclusive to the social network and at times featured on Facebook’s own sports page. E-sports is a fast-growing corner of the $100 billion videogame industry, in which professional players around the globe vie for millions of dollars in prize money. Championship matches held in sports arenas often draw thousands of spectators, while millions more watch online. Fans are deeply invested players themselves, honing their skills online. A finals match for the game “League of Legends” in October attracted 36 million online and television viewers. Later this month, Time Warner Inc. will begin broadcasting e-sports tournaments Friday nights on its TBS cable-TV station. Facebook, for its part, has been ramping up live video to compete with rivals such as Alphabet Inc.’s YouTube and Snapchat Inc. It has pushed tools into its users’ hands in recent weeks to get more of them to create and watch live video, and in some cases has paid content creators to produce video. Activision Blizzard plans to publish live content daily—match highlights, statistics, expert commentary and player interviews—on its Facebook page for Major League Gaming, a tournament and production company it acquired last year for $46 million. Facebook users who follow the page will be notified of live broadcasts, just as they do today if they follow pages from the Verge or The Wall Street Journal, for example. In an earlier prepared statement, Facebook said e-sports is an increasing priority. 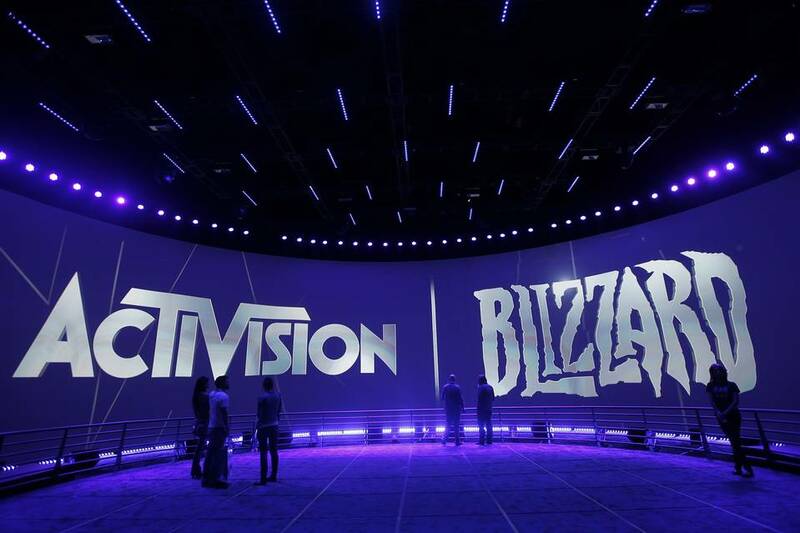 Activision Blizzard has several popular e-sports franchises in its portfolio, including “Call of Duty,” but plans to cover competitors’ games and tournaments, too. The videos will be produced in a format similar to ESPN’s “SportsCenter,” Activision said. When Activision created a new e-sports division last year, it hired Steve Bornstein, an executive with deep experience at ESPN and the NFL Network, to run it.